Hi there! 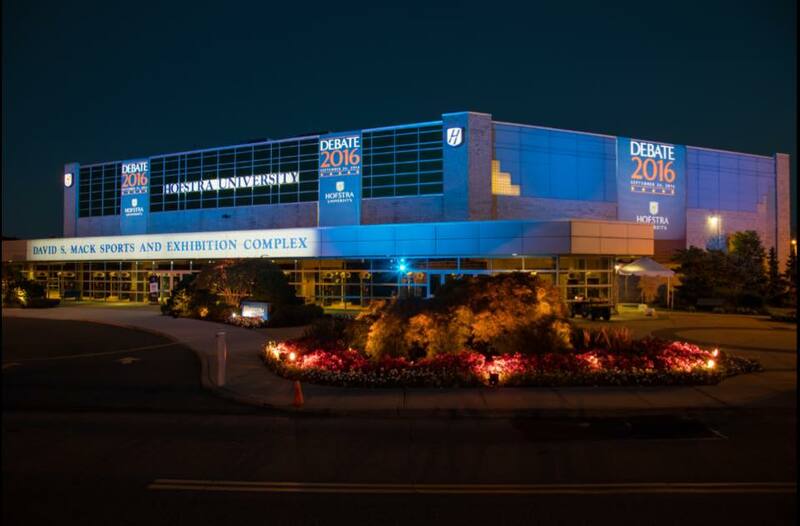 My name is Grace, and I'm a junior marketing major at Hofstra. I transferred here in the spring of 2016 because I knew Hofstra would provide me with opportunities I would not be able to find at any other university. That was once again proven to be true on Monday, September 26, 2016. 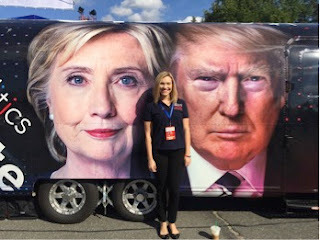 I was given the incredible opportunity to work at and attend the first presidential debate in the 2016 election cycle! 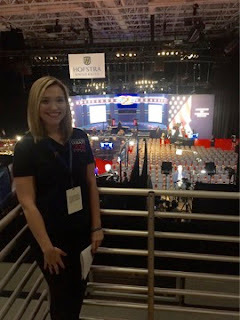 I was one of the lucky few volunteers that would have the opportunity to watch the debate in person as a debate hall usher! My shift was scheduled to begin at 4 p.m. 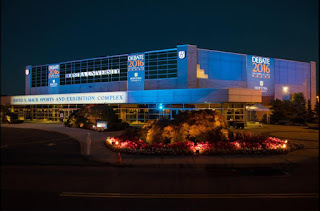 I got there around 2:30 so that I would have the chance to walk around and witness the excitement happening on campus before heading to the debate hall. I met up with Pride Guide Izzy (who happened to also be a debate hall usher). We walked into the perimeter and got into the debate hall to meet with the Commission on Presidential Debates (CPD) to discuss our responsibilities for the evening. Prior to the debate beginning, they walked us into the hall, and I had chills. It was the calm before the storm, and I could feel it! The major networks were lined against the back of the debate hall with some of the most recognized reporters doing live tapings as employees completed last minute jobs in the hall. The lucky lottery winners started filing in as I escorted them to their seats. As I saw VIPs like Mark Cuban and Don King make their way to their seats, it hit me what was about to happen – I was going to be standing only a few feet away from the next president of the United States. 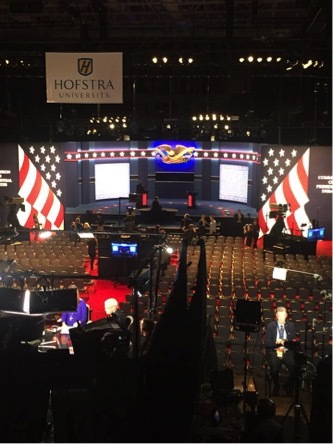 I was about to watch the candidates take part in an extremely important and historical event. This was and will continue to be by far one of the coolest things I will ever get to be a part of. I cannot thank Hofstra enough for giving me this opportunity. It was a night I will never, ever forget.